Are you struggling to find solutions to your health issues? 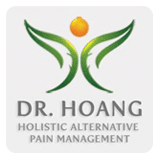 LeTrinh Hoang, DO, and her team at the Center for Natural Family Medicine in the Carthay neighborhood of Los Angeles and Arcadia, California, use osteopathy to relieve pain and treat chronic medical conditions such as asthma and migraines. To learn more about osteopathy and how it can help you, call or schedule an appointment using the online booking tool. Osteopathy is a specialized area of medicine that takes a holistic approach to care by supporting your body’s self-healing power. An osteopath studies the musculoskeletal system and treats medical disorders through the manipulation of the bones, joints, and muscles. In osteopathic medicine, it’s taught that each individual part of your musculoskeletal system affects the entire system. If one part is misaligned, it affects your whole body. When developing your treatment plan, the team at the Center for Natural Family Medicine focuses on your entire body, not just the injured or affected area. Osteopaths believe that physical strain can become embedded in your anatomy and lead to disease. Osteopathic treatment is aimed at finding and alleviating the physical strain to improve or eliminate the disease process. As a holistic practice, the team takes into account your other body systems, including your circulatory, nervous, and lymphatic system, when developing your plan for overall wellness and health. What types of conditions can osteopathy help? The Center for Natural Family Medicine also uses osteopathy to treat sports injuries and relieve the discomfort some women may experience during pregnancy. What can I expect during osteopathic treatment? The team also uses techniques that encourage muscles to work together to improve strength and stability. The practice also offers other holistic techniques to manage conditions, including prolotherapy, homeopathic medicine, and platelet-rich plasma. Whether you’re searching for an alternative treatment to get help with your pain or you’re looking for a holistic approach for your chronic health condition, call the Center for Natural Family Medicine today to schedule your osteopathy appointment, or use the online booking tool.